Susana is a single mother of four children. Two years ago she was in an accident that resulted in back problems, limiting her ability to work full time. Currently she works as a store clerk, and her children also work to help support the family along side attending school. Their current home has a dirt floor and is made from plywood, scraps of lumber, cardboard, and tar paper. 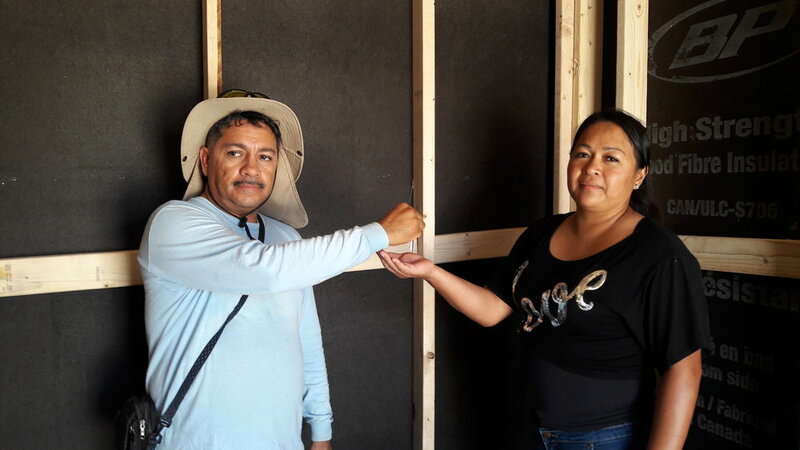 Now, through your generosity, they have received a brand new stucco home with a concrete floor and roof! The family sends this message, "Thank you very much for your help, we are truly grateful for your heart of helping, and this unconditional gift to us." Pictured above is the construction process of their home.